This story points to the need to elect a President who will secure our borders. 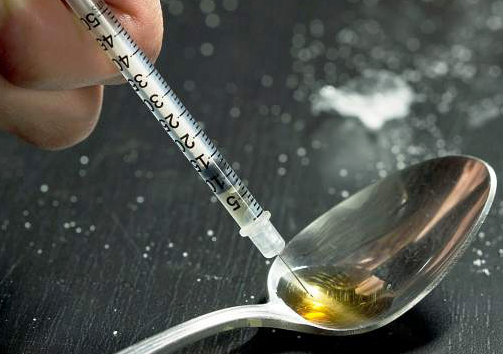 This previously deported illegal alien was dealing in heroin. As the article notes, he distributed over over 17,000, yes 17,000 baggies of heroin. How many American lives did this criminal foreigner ruin because our government does not perform one its primary functions? A man living in the country illegally was sentenced to 78 months in prison for heroin trafficking, according to the United States Attorney’s Office for the Middle District of Pennsylvania. According to U.S. Attorney Peter Smith, Edwin Guerrero-Guerrero, 35, who lived in Hazleton under a false name and identity, pleaded guilty to the charges Sept. 15. He admitted to distributing and possessing over 500 grams of heroin, which is the equivalent of about 17,000 retail bags of the narcotic after he illegally re-entered the United States upon deportation back to his home country, the Dominican Republic. He was sentenced by Senior U.S. District Court Judge Richard Convoy in Scranton Tuesday who also ordered Guerrero-Guerrero to be placed on four years supervised release following prison and also faces possible deportation. Read more….